If you're waiting for calm in the oil market, don't hold your breath. More volatility lies ahead and a supply glut will persist next year, despite signs of falling U.S. production, the International Energy Agency said Tuesday. The Paris-based IEA said demand growth will slow in 2016, as a boost from lower prices fades. At the same time, supply won't fall to more sustainable levels. "A projected marked slowdown in demand growth next year and the anticipated arrival of additional Iranian barrels -- should international sanctions be eased -- are likely to keep the market oversupplied through 2016," the agency said. Growth in global oil demand is expected to slow to 1.2 million barrels per day in 2016, down from a five-year high of 1.8 million barrels per day in 2015. The IEA, which monitors energy market trends for the world's richest nations, said weaker global economic growth next year would act as a brake on demand. Consumption has surged this year because of collapsing oil prices. Prices fell from above $100 per barrel in June 2014 to their lowest level in six and half years in August 2015, trading below $42 a barrel. The low prices are squeezing U.S. shale and other high cost producers. Many have been forced to cut spending to cope with the new reality. U.S. oil production fell by 120,000 barrels per day in September from August. At the same time, OPEC producers are pumping near-record amounts of oil as they try to defend their market share. The cartel's overall production rose to 31.7 million barrels a day in September, up from 31.6 million in August and well above the group's official target of 30 million barrels a day. Fear & Greed Index: What emotion is driving the market now? 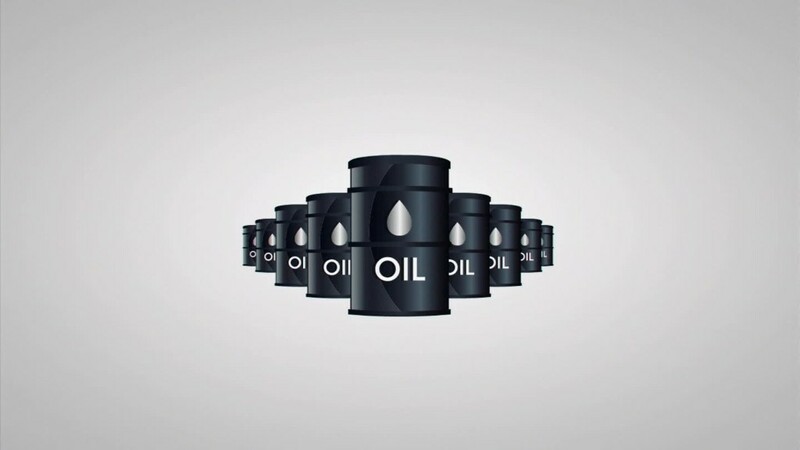 When oil climbed back above the psychological barrier of $50 a barrel for the first time since July last week, analysts breathed a sight of relief, hoping the oil market had finally bounced off the bottom. But the move didn't last. 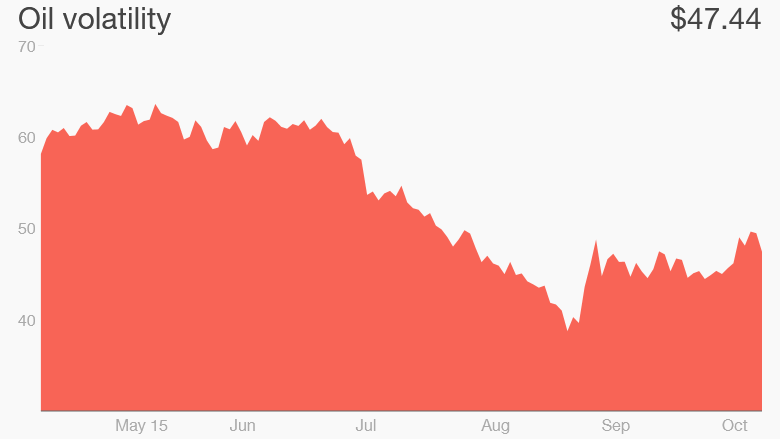 Oil prices were back below $47 per barrel on Tuesday.